Consider these 5 things before buying lakefront property in South Carolina. Does the idea of a home on the water sound heavenly to you? There are many reasons why lakefront property in South Carolina is so highly coveted. From the fresh air, sunshine, and calming sounds of a lake to the very real health benefits, lake living has many benefits. If you’re thinking of exploring lake property for sale in SC, here are 5 things you should consider. Purpose. Are you looking for a vacation home or a primary residence? This makes a difference in the lake property hunting process. If you’re planning on a vacation home, you may want something smaller than your primary residence for just your immediate family to get away, or something bigger so you can vacation with family and friends. A vacation home can be a little more remote, whereas a primary residence may need to be more conveniently located for commuting to work and school. Existing Home or Custom Build? Do you plan to look for an existing home that meets your needs? Or would you rather find a lot you like and have a custom home built on the property? Finding an existing home is typically faster, but also may require some renovations to make it just right for your family. A custom home is designed and built to your exact specifications, but will usually take much longer than choosing an existing home. Waterfront or Water View? Is it important for you to be right on the water? The wide variety of lake property for sale in SC gives you options. If you want lake access from your own property, choose a lot that is on the water and meets the requirements for a dock. If you just want a view of the lake, perhaps from higher up, a lake view property may suit you. There may even be lots or homes that are not in view of the water but are just a short walk or drive away from a lake view and access point. Cost. If budget is a factor for you, the type of property you choose can make a big difference in the overall cost of your home. Waterfront sites are usually the highest in price, with water view being a bit less, and a lot that is not in view of the water would be even less. The size and style of home make a difference in the cost as well, whether you purchase an existing home or have a custom home built. Lake Information. Do your research about the lake itself before buying property on its shores. What are the rules? What types of activities does the lake allow? How big is the lake? How deep? Is fishing allowed? What are the future plans for the lake and the property surrounding it? Consider all of these questions that may affect your recreational activities before deciding on the right location for your lake home. Make your dream of living on the sparkling waters of a lake a reality with Total Quality. Lakefront and lake view lots are available now for custom home building, as well as existing homes for sale. 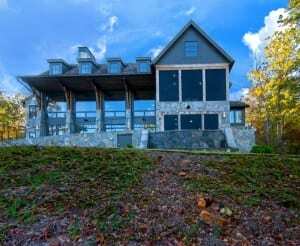 Don’t miss your chance to secure a lot on the beautiful shores of Lake Keowee. Call today (864) 868-5253.